Price: Free! Please bring one canned food item for the San Antonio Food Bank. 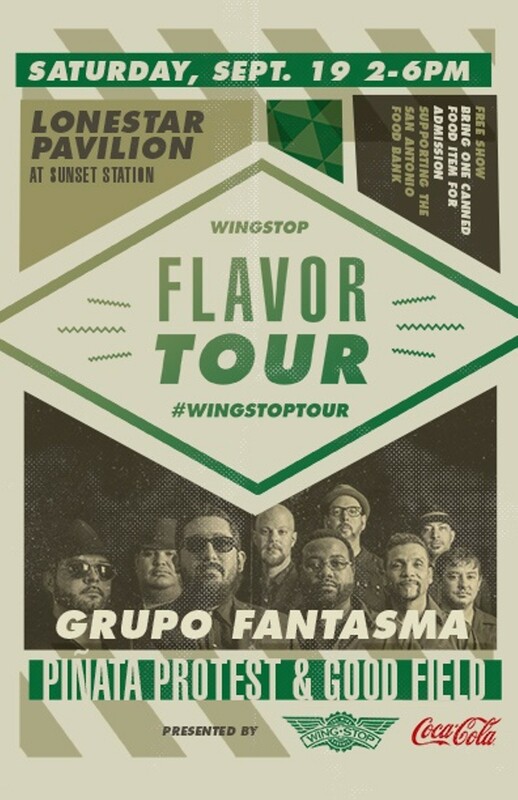 Grammy-award winning Latin-funk and cumbia powerhouse Grupo Fantasma is headlining. Also performing are Piñata Protest and Good Field, Texas-based rock bands with a loyal following. Rather than an entry fee, attendees are asked to bring a canned food item to donate as their cost of attendance. All food items will benefit the San Antonio Food Bank. 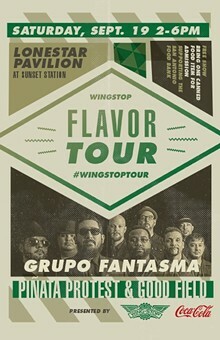 The Wingstop on Wheels food truck as well as the Coke Happiness Truck will be on-site serving up free wings and Coke.